If you don’t hold out much hope for exciting action in the middle of the week, you need to check out what the NBA has to offer. There was plenty of excitement on offer on Tuesday night, with some great games and Wednesday night looks like offering up more of the same for basketball fans. 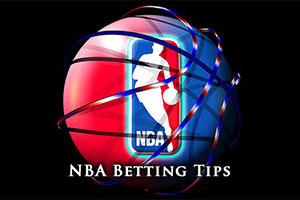 If you want great basketball betting opportunities, the NBA remains the place to turn to. On Tuesday night, the Cavaliers made a claim that they are actually turning things around in a positive manner, with a strong 105-101 home win over the Raptors, a team who have performed well this season. There was a good home win for the Thunder, defeating the Bucks by a score of 114-101 and the Grizzlies also grabbed that winning number of points, defeating the Mavericks by a score of 114-105. The Jazz were home winners against the Spurs, triumphing by 100-96 and the Trail Blazers were winners on the road, defeating the Pistons by a score of 86-98. The Pelicans were strong winners at home, defeating the Knicks by a score of 104-93 and the Heat were big winners on the road, defeating the Suns by a score of 97-103. The Lakers also managed to grab a win, leaving the Los Angeles crowd celebrating a 98-95 win against the Kings. The 76ers are currently on a 2-18 record, and their away form stands at 2-7, which is clearly poor but is so much brighter than their standing two weeks ago. The Hawks are holding a 14-6 record and a 9-2 record at home, so they are clearly a lot more comfortable with their lot at the moment. The 76ers are on winning streak of 1 at the moment, which is something they have only said twice this season, but the Hawks are on a winning streak of 7 and they have to be confident coming into this game. The Hawks enjoyed a strong showing on Monday night, defeating Indiana 92-108 with Al Horford grabbing 25 points, a season high, while Jeff Teague offered up 21 points. The 76ers grabbed their second win on the road in a row by outlasting the Pistons 101-108 in OT on Saturday. Tony Wroten and Alexey Shved are doubts for the 76ers while the Hawks don’t have any injury concerns for the game. You have to say that this game has the Hawks written all over it, and therefore it is the margin of victory that makes a big difference. Given the Philadelphia side should have some spirit about them coming into this game, taking them with a handicap of +12.5 at odds of 1.90 should be enough to offer up a return. Bet Now! The Celtics arrive in Charlotte with a 7-12 record and a 2-5 record away from home. This isn’t impressive but it is not as though the Hornets are any better, they hold a 5-15 record for this campaign, with a 4-7 record at home. The Celtics are on a losing streak of 1 and the Hornets are on a winning streak of 1, so there isn’t anything you can take from the streak of form from either side. The Celtics are actually 3-2 for their last five games while the Hornets are 1-5 for their last five. Boston enjoyed a 101-93 win against the Wizards on Sunday, their third win in a row, but they lost in OT in the return at Washington on Monday. Marcus Smart served up a season high of 23 points in that game and Kelly Olynyk offered up 19 points and 11 rebounds. After losing 10 games in a row, the last thing you want to do is let an 80-60 lead slip through your fingers. This was the case for the Hornets on Friday night but even though they were behind with 4 seconds on the clock, Kemba Walker was the hero, giving the team a much needed win. The Celtics are at full strength coming into this match and the Hornets are hopeful that they will be able to welcome back Michael Kidd-Gilchrist to their team, after he has been missing for 12 straight games. His reappearance may lift the team and the crowd and taking the Hornets at a handicap of -2.5 with odds of 1.90 may help you get a notable return on Wednesday. Bet Now! The Clippers come into this game with a 15-5 record, with a 7-2 record away from home, while the Pacers hold a7-14 record, with a 4-6 record at home. The Clippers are on a winning streak of 8 while the Pacers are on a losing streak of 5, and you would believe that this run will continue in this match. Blake Griffin has 75 points in his last two games, and the last of the 45 he grabbed against the Suns on Monday was enough to grab a 121-120 win. This 3 pointer bounced in just as the overtime buzzer arrived, clinching a tremendous victory and indicating that this is a player and team on fire at the moment. The Pacers can only dream of having a player hit such consistent peaks for them, and they will be desperate to atone for a terrible home loss against the Hawks in their last outing, a game they lost by 92-108. Both teams have a few injuries to contend with. The Clippers have big doubts over Reggie Bullock, Jordan Farmar and Chris Douglas-Roberts while the Pacers are worried about George Hill. They are also monitoring Ian Mahinmi, but he is far more likely to play. You have to fancy the Clippers strongly in this match and even with a handicap of -7 at odds of 1.90, they appear an attractive bet. Bet Now!